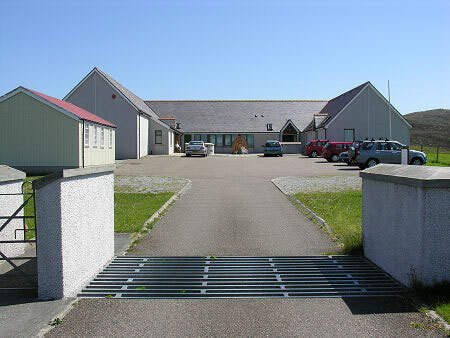 The Kildonan Centre in South Uist is a heritage and cultural amenity which includes a museum, a craft shop, a Fèis room for ceilidhs, music and dance, a cafe and an archaeology room where finds can be cleaned and examined by visiting archaeology groups. The museum itself, Taigh Tasgaidh Chill Donnain, is owned by the South Uist Historical Trust. Originally a school it has been extended and developed into a multi purpose centre which is a Registered Museum. The museum now contains an archival room dedicated to the memory of Margaret Fay Shaw.